I love macaroni and cheese like a little kid. I order it in restaurants, and I’m not ashamed to admit it. However, in the last several years, I have absolutely outgrown my tolerance of the blue box. 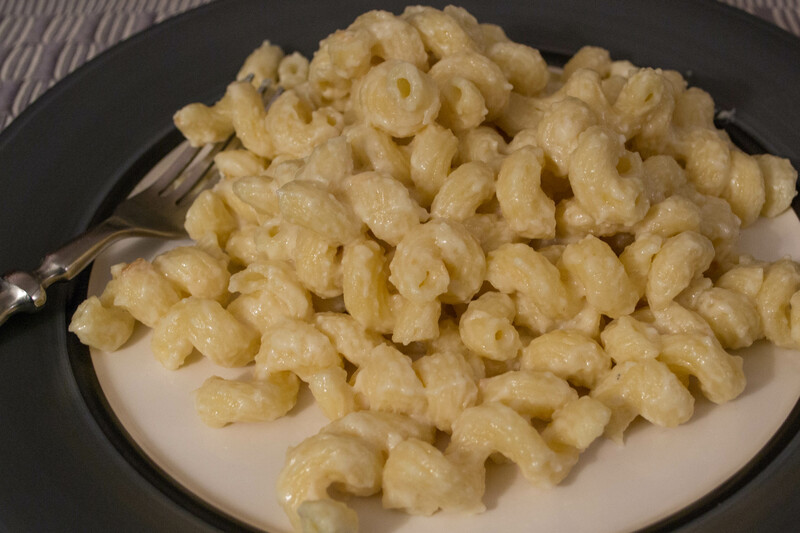 This is such a good homemade macaroni recipe that uses a variety of cheeses, giving it a more grown-up flavor. It’s pretty quick to make, and you don’t have to bake it, unless you want to brown some cheese over the top before serving. Bring a large pot of water to a boil. In a small saucepan over medium heat, warm the milk until small bubbles begin to form around the edge of the pan. Remove from heat. In a large saucepan over low heat, melt the butter. Add the flour, whisking to incorporate. Raise the heat to medium-low and cook the mixture, whisking constantly, until very lightly golden, 3-4 minutes. Gradually whisk in the hot milk. Cook, stirring frequently, until the mixture is thick and creamy, about 15 minutes. Add the Gruyere and Fontina cheeses. Season to taste with salt. Cook, stirring frequently until the cheeses are melted, 2-3 minutes. Stir in the Parmesan cheese. Remove the sauce from the heat and set aside. Meanwhile, add 2 tablespoons salt and the pasta to the boiling water. Cook, stirring occasionally to prevent sticking, until al dente, according to the package directions. Drain, reserving about ½ cup of the cooking water. Add the drained pasta to the sauce and stir to combine. Add as much of the cooking water as needed to achieve a nice sauce consistency and serve.